Highly typical case. The movements of athetosis are unusually effusive. 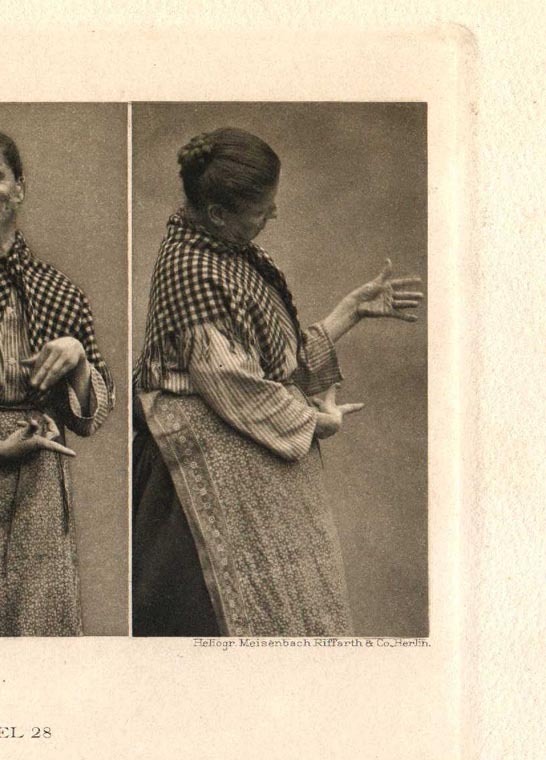 It affected not only both hands and feet, but also, which is quite rare, the face and neck. 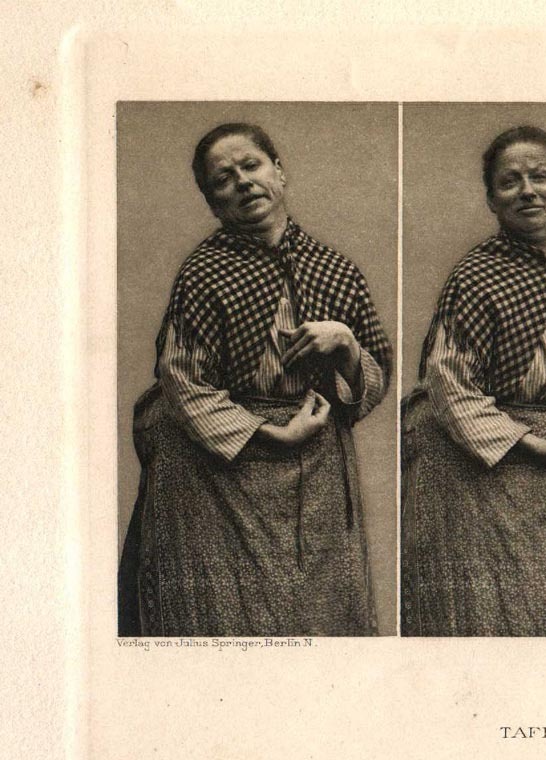 The patient is photographed in three rapid sequential poses. Especially interesting may be the frequently changing athetoid condition of the face, in which nearly all the mimetic muscles participate (lips, brow, cheek musculature, purlieus of the eyes, platysma). 44 year old unmarried individual. A long time resident of the poor house. Origin of the affliction in early childhood.